SEJ is committed to supporting diversity in environmental journalism. Here you'll find posted useful websites, events & opportunities, news, views, and more. Read the mission statement and objectives of SEJ's Diversity Task Force (DTF). Contact Executive Director Meaghan Parker. Know of a good resource for this page? Email your suggestion to SEJ's web content manager Cindy MacDonald. Global Media and the Environment, a Facebook group started by SEJ, is a vibrant place with group members from all over the world sharing a broad range of environmental news. The Native American Journalists Association annually celebrates the quality and professional work covering Indian Country by Indigenous and non-Indigenous journalists. Deadline: Apr 19, 2019. Twice yearly, the International Women’s Media Foundation offers grants supporting journalism produced by and about women. The grants, averaging $5,000 USD, are awarded to cover reporting-related costs including travel (flights, ground transportation, drivers), logistics, visa fees, post-production costs, and payment for fixers/translators. Open to professional journalists with three or more years' experience. Next deadline is April 21, 2019. The theme of the 2019 Summit is Native Voices · Native Media · Native Truths. This annual event supports capacity building and professional development opportunities specifically for broadcasters and media makers serving Indian Country. The fellowships, valued at up to $10,000 each, offer up-and-coming and established Canadian journalists the opportunity to spend time in Asia, researching and preparing stories. Deadline: Apr 26, 2019. FIJ offers grants up to $10,000 three or four times each year for proposals that break new ground and expose wrongdoing relating to government accountability, local or regional investigations, climate change and economic inequities. Reporting for ethnic media and submitted by journalists of color is strongly encouraged. 2019 Deadlines: Feb 4, 2019 (Winter cycle); May 13 (Spring). 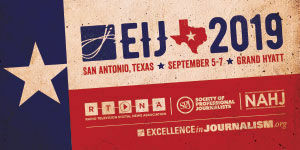 The Radio Television Digital News Association (RTDNA) and the Society of Professional Journalists (SPJ), along with the National Association of Hispanic Journalists, will partner for the 2019 conference. Apply for an internship with High Country News (HCN) in Paonia, CO, in Summer/Fall 2018 or for the Jan-Dec 2018 fellowship. Both include free housing and cash stipend. Native American journalists, Hispanic journalists and those from other under-represented backgrounds are encouraged to apply. Deadlines: Mar 15, 2019 (Summer/Fall 2018 internship); Nov 1, 2019 for Winter/Spring 2020 internship and 2020 fellowship. The International Reporting Project's reporting fellowships on women's rights and LGBTI rights are intended to provide in-depth coverage of important, under-covered international issues, including vulnerability to and leadership on climate change; education; the effects of conflict upon marginalized communities; and more. Deadline: rolling basis. The South Asian Journalists Association's fellowships program encourages in-depth coverage of South Asia or the South Asian Diasapora by providing grants to cover a portion of reporting expenses. Deadlines: twice per year. The USC Annenberg School of Journalism's National Health Journalism Fellowship (July 28-August 1, 2019), with a $2,000-10,000 reporting grant, is open to print, broadcast and multimedia journalists around the country who have a passion for health news. Also offered is a one-week California program in Los Angeles, March 17-22, 2019, explores the intersection between community health, health policy and the nation’s growing ethnic diversity, as well as the role that factors such as race, ethnicity and exposure to environmental toxins and violence play in prospects for good health. Fellows receive free tuition, meals, travel, and lodging, plus a stipend. Journalists writing for ethnic media are strongly encouraged to apply. Deadlines: Dec 14, 2018 for the California program; Mar 22, 2019 for the National program. This International Women's Media Foundation (IWMF) fellowship gives academic and professional opportunities to women journalists who focus on covering human rights and social justice. During this seven-month fellowship (Fall to Spring), the selected journalist will have the chance to complete research and coursework at MIT’s Center for International Studies and participate in internships with media outlets including The Boston Globe and The New York Times. Deadline: Mar 7, 2019 extended to Mar 21. The HBF annually sponsors journalists from the US and Europe for a five-day transatlantic trip to research stories relevant to the foundation’s work on climate and energy policy, democracy, foreign and security policy, and technology and digital policy. Special consideration is given to journalists: from regional or local media outlets who can demonstrate that transatlantic reporting is a new and important perspective for their audience; women and journalists from diverse backgrounds; whose story ideas would be informative for regional or local policy debates; and who may not otherwise have the opportunity to conduct transatlantic research. $3,500 stipend. Deadline: Mar 17, 2019. The Asian American Journalists Association's National Journalism Awards, established in 1989, recognize and encourage excellence among journalists and outstanding coverage of Asian American and Pacific Islander issues. Deadline: Mar 17, 2019. The International Women's Media Foundation celebrates the achievements of women journalists worldwide, who put themselves at risk to give us a window into critical global issues. Facing and surviving danger to uncover the truth, they raise the bar for reporting under duress. Open to full-time or freelance women reporters, writers, editors, photographers or producers working in any country and of any nationality. Nomination deadline: Mar 15, 2019. 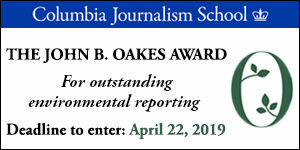 The Institute for Journalism & Natural Resources annually offers grants to help defray the costs of reporting projects that focus on natural resources, the environment, energy, development, agriculture, environmental justice and public health: Environmental Justice Reporting Award, Guerry Beam Memorial Award, Andrew Weegar Memorial Award and the Frank Allen Field Reporting Award. Journalists of color and other underrepresented or minority journalists are strongly encouraged to apply. Deadline: Mar 15, 2019. The annual "Oz Prize" honors the late Osborn Elliott, a legendary journalist and longtime Newsweek editor. The $10,000 prize is awarded to a writer or team of writers who has produced the best example of journalism about Asia during the calendar year. Evaluation criteria include impact of the work, its originality, creativity, depth of research and educational value in informing the public about Asia. Deadline: Mar 15, 2019. This one-year fellowship, honoring the pioneering African-American activist and investigative reporter, promotes diversity in journalism by helping to create a pipeline of investigative reporters of color who bring diverse backgrounds, experiences, and interests to their work. Fellows receive $16,000, travel and other costs, editorial guidance from a dedicated editor at Type Investigations and more. Deadline: Mar 3, 2019. This International Women's Media Foundation (IWMF) award honors Pulitzer Prize-winning AP photographer Anja Niedringhaus, who was killed on assignment in Afghanistan in 2014. It celebrates women photojournalists whose work inspires us to take action and better understand the world. $20,000 cash prize and work showcased at the German Ambassador's Residence in Washington, DC . Open to full-time women photojournalists of any nationality. Apply yourself or submit a nomination. Deadline: Mar 1, 2019. The Native American Journalists Association's annual fellowship is open to current American Indian, Alaskan Native, Native Hawaiian and First Nations college students, undergraduate and graduate, pursuing media degrees. Improve your reporting and multimedia skills, while learning from tribal journalists and news industry professionals from across the country during an on-site immersion newsroom experience in Prior Lake, Minnesota, Sept. 12-19, 2019 in coordination with the 2019 National Native Media Conference. Deadline: Feb 28, 2019. This funding initiative enables the International Women’s Media Foundation to dramatically expand its support of women journalists reporting on issues of global importance that are typically under-reported. Funding rounds open for applications in January and June of each year. Deadline: Feb 25, 2019. The Asian American Journalists Association's Executive Leadership Program, April 15-19, 2019 at ABC News in New York City, is for any professional journalist with four or more years of experience who's interested in moving ahead in the workplace and developing the necessary skills to achieve goals small and large. Deadline: Feb 24, 2019. The Native American Journalists Association is partnering with Comcast NBCUniversal to give NAJA member-students real world experience and exposure to one of the world's leading news divisions as a paid summer 2019 intern. Deadline: Feb 22, 2019. Founded by the East-West Center in 1967, the Jefferson Fellowships promote better public understanding of the United States and Asia and Pacific through one week of dialogue with professional colleagues and experts at the East-West Center in Hawaii, followed by a two-week study tour to cities in Asia or the U.S. Open to working print, broadcast and online journalists from the U.S., Asia and the Pacific Islands. Theme of the Summer 2019 Program is "Migration Policy & Public Sentiment." Deadline: Feb 7, 2019. This paid summer internship is for undergraduate students who are deeply committed to diversity and interested in pursuing journalism as a career. It takes place at the Washington, DC headquarters of the American Association for the Advancement of Science's Science magazine, the largest interdisciplinary journal in the world, under the guidance of award-winning reporters and editors. Includes travel to D.C. Living accommodations and expenses are the responsibility of the intern. Deadline: Feb 1, 2019. The Radio Television Digital News Foundation offers scholarships for outstanding students and fellowships for young professionals (<10 years experience in the field) pursuing careers in radio, television, or online news. Both the Michelle Clark Fellowship and N.S. Bienstock Fellowship are given to promising minority applicants. Deadline: Jan 18, 2019 extended to Jan 31. This fellowship provides support to international journalists who enroll in one of nine graduate programs in journalism at New York University’s Arthur L. Carter Journalism Institute (including Science, Health and Environmental Reporting). Must have two years' experience and fluency in English and at least one other language. Deadline: Jan 4, 2019. The International Women's Media Foundation (IWMF) annually awards one $5,000 grant to a woman journalist who carries forward Swedish journalist Kim Wall's legacy of covering important, underreported stories on subcultures and "the undercurrent of rebellion" from around the world. Deadline: Jan 4, 2019 extended to Jan 13. This award honors an up-and-coming journalist in Africa who strives to strengthen people's voices and improve their well-being. Winner receives a $5,000 cash prize to pursue an in-depth reporting project. In a special study tour organized by International Center for Journalists (ICFJ), the winner will spend time in U.S. newsrooms to learn new skills and share knowledge, as well as two weeks interning at The Economist in London. Deadline: Dec 2, 2018 extended to Dec 16. ProPublica is offering stipends to five minority students who work or want to work at college journalism outlets — newspapers, websites, radio stations or TV stations. Receive $4,500 per semester, plus mentoring. See the Nov 16 release. Apply here. Deadline: Dec 2, 2018. The Fund for Investigative Journalism (FIJ) is partnering with four of the country's most innovative journalism nonprofits for a yearlong fellowship program that aims to expand opportunities for diverse journalists in watchdog reporting, with an emphasis on journalists of color. Up to four fellows will be selected. Deadline: Oct 1, 2018. A program of the Social Science Research Council (SSRC) and the Japan Foundation Center for Global Partnership (CGP), the Abe Fellowship for Journalists is designed to encourage in-depth coverage of topics of pressing concern to the United States and Japan through individual short-term policy-related projects. Deadline: Sep 15, 2018. In partnership with the Missouri School of Journalism, these annual six-month opportunities include a General Fellowship for early-career professional journalists from developing countries and the Daniel Pearl Fellowship for journalists from South Asia and the Middle East to work in U.S. newsrooms to experience the dynamics of a free press environment firsthand. Deadline: Aug 31, 2018. The Pan African Climate Justice Alliance (PACJA) seeks submissions from professional African journalists for the 4th Edition of the awards. Theme is "Changing the narrative on environmental challenges in Africa: the case of pollution." Cash prizes plus, for the overall winner, a sponsored trip to Poland for the UN Climate Change Conference this December. (extended from Aug 5). The South Asian Journalists Association and SAJA Group Inc. annually invite individual journalists and news organizations in North America to participate. The Awards recognize excellence in coverage of South Asia (India, Pakistan, Sri Lanka, Nepal, Bangladesh, Maldives, Bhutan and Afghanistan) and the diaspora, as well as outstanding reporting by South Asian journalists and students in the U.S. and Canada. Deadline: Aug 15, 2018 extended to Aug 22. Internews Earth Journalism Network (EJN) is offering Story Grants to boost reporting of climate justice and resilience in the Indian and Bangladeshi regions of the Bay of Bengal. Deadline: Aug 13, 2018. The International Women's Media Foundation (IWMF) invites women journalists to apply for a 2018 expenses-paid reporting trip, Sep 20-Oct 5, to either Mexico (Economic Development after the Elections) or Guatemala (Environment). Deadline: Jul 9, 2018. extended to Jul 17. The East-West Center in Honolulu is accepting applications for the 2017 China-United States Journalists Exchange: Sep 2-15, to visit Beijing, Xian, and Hong Kong (for US journalists) and Sep 10-16, to visit Detroit, Michigan and Washington, DC (for Chinese journalists). Deadline: Jun 26, 2018. The International Women's Media Foundation (IWMF) invites women journalists to apply for a reporting trip in Juba, South Sudan, from Aug 8 to 24, 2018, including a 4-day Hostile Environments and First-Aid Training (HEFAT) in Nairobi, Kenya from August 9 to 12. This reporting trip theme will include topics around civil society and civic engagement. Deadline: Jun 3, 2018. The National Association of Black Journalists annually awards prizes for journalism that best covers the black experience or addresses issues affecting the worldwide black community. Includes a specialty environment/health/medical sub-category. Deadline: Apr 20, 2018 extended to May 4. The East-West Center in Honolulu is accepting applications for the annual Senior Journalists Seminar, Sep 3-27, 2018 to Washington, DC; Detroit, MI; Honolulu, HI; Yangon, Myanmar; Tunis, Tunisia. Participating journalists will include 12-16 journalists from the U.S. and countries with substantial Muslim populations. Minimum 10 years experience required. Deadline: Apr 18, 2018. The Singapore Environment Council's Asian Environmental Journalism Awards (AEJA) aim to recognise and reward excellence in environmental journalism by all individuals, across the region. Deadline: Jan 12, 2018 extended to Mar 31. This International Center for Journalists fellowship program sends U.S. minority journalists overseas for up to two weeks to cover stories that resonate with their local communities. Costs for travel, lodging, and interpreters are included. Deadline: Mar 25, 2018. During a 12-week, paid placement with the award-winning APTN Investigates team based in Winnipeg, Man., in Spring 2018, fellowship recipients will produce a 22-minute original investigative documentary on an issue facing First Nation, Métis or Inuit peoples in Canada. The documentary will air on APTN Investigates. Deadline: Dec 1, 2017. The Asia Pacific Foundation of Canada invites you to Vancouver, BC on Nov 28, 2017 for a presentation by Manny Mogato, a journalist with Reuters in the Philippines and this year’s winner of the McLuhan Fellowship. Mogato will be presenting on the spread of fake news in the Philippines and how this undermines the news media's role. His discussion comes at a time when human rights and other fundamental freedoms in the Philippines are under the spotlight, and will explore what journalists should do to respond to the threats of fake news and the lack of accountability by purveyors of false information. RSVP by Nov 24, 2017. The Fund for Investigative Journalism (FIJ) and the Schuster Institute for Investigative Journalism will award grants (up to $9,000) and fellowships to four independent U.S. reporters to investigate significant systemic or social justice issues. Open to women and journalists of color working in any media. With shrinking media budgets around the world, many newsworthy stories on real solutions to global challenges go unreported. The Right Livelihood Award Foundation's new small grant scheme aims to support impartial and high-quality reporting by journalists or final-year journalism students, to put the spotlight on the issues that matter. Deadline: Jun 15, 2017. This Sep-Apr fellowship is for mid-career Latin American journalists, held at Massey College, the Graduate Residential College in the University of Toronto, Canada. Enroll in any graduate or undergraduate courses and use the full facilities of the University. There are no educational prerequisites for a fellowship; nor does the fellow receive credits or degrees for work done during the year. Accommodation is provided by Massey College. The objective of the fellowship is to enhance inter-American understanding and promote dialogue through an exploration of current issues in journalism and free expression in the Americas in an academic setting. Deadline: Feb 20, 2017. Discontinued in 2018. Hostwriter and its Armenian partner Youth Alliance via Networking invite 10 journalists to join a temporary newsroom in Armenia, expenses paid, to cover European topics from a cross-border perspective in late March 2017. Deadline: Feb 19, 2017. Journalists (especially indigenous and those from developing countries) are invited to apply to Earth Journalism Network's Fellowship program during the 13th Conference of the Parties (COP13) to the UN Convention on Biological Diversity in Cancun, Mexico, in December 2016. Deadline: Sep 10, 2016. This contest provides young journalists in developing countries a unique opportunity to contribute to the global debate on climate change in the run-up to COP21, while building their capacity, and providing recognition for excellence. Winners will be funded to attend and cover COP21. Deadline: Oct 11, 2015. YES! Magazine seeks a journalist for a one-year, full-time, paid, in-house reporting fellowship based in Bainbridge Island, WA (near Seattle). This fellowship is designed to support reporters from communities that are often underrepresented in the field of journalism. Deadline: Jun 10, 2015. The SEJ Guide to Diversity in Environmental Reporting is for journalists who want to address diversity concerns and practice more inclusive journalism. Authors Jennifer Oladipo and Talli Nauman created the guide, inspired by discussions by members of SEJ’s Diversity Task Force. "The Race Issue: Unfinished," Columbia Journalism Review, Fall 2018. "Four Leading Black Reporters on the Changing Climate Beat," Nexus Media, February 8, 2018, by Shravya Jain. "In Need of a Career Boost?" Number 1 Shimbun, February 2, 2016, by James Simms. "NPR Dismisses an Ombudsman Report"
There is an internal battle going on at NPR between the ombudsman and the journalists who produced an award-winning investigation into the South Dakota foster care system’s treatment of Native American children. It illustrates some of the pitfalls of reporting on cultural bias and of using narrative storytelling techniques for investigative work. Columbia Journalism Review, Aug 12, 2013, by Abraham Moussako. "Newsroom Diversity: A Casualty of Journalism's Financial Crisis"
"The American Society of News Editors (ASNE) recently released its annual study of newsroom diversity. The results only confirmed what many who have lived through the industry's deep recession have already experienced: a steady decline in minority journalists and stagnation in prior progress." The Atlantic, Jul 9, 2013, by Riva Gold. "8 Dynamic Black Women Editors in New Media"
"Chosen from a mix of media outlets, these women reveal the importance of diversity in such a powerful industry." EBONY, Mar 28, 2013, by Patrice Peck. "Within Mainstream Environmentalist Groups, Diversity Is Lacking"
"Fred Tutman was a lonely man when he picked up the telephone that day. He was the tough-talking protector of Maryland’s Patuxent River, a courtroom brawler who took on anyone who contaminated water, but he couldn’t shake a nagging hurt that he was nearly invisible within his own profession." Washington Post, Mar 24, 2013, by Darryl Fears. IIED, a policy research organization based in the UK, has published four new briefing papers: "Reshaping contracts for quality natural resource investments" (Mar 2013), "Urban poverty, food security and climate change" (Mar 2013), "Carbon rights legislation: not yet ready for private sector REDD+" (Feb 2013), and "Ringing the changes with a new approach to forest investment" (Jan 2013). "A Helping Hand: The Ford Foundation Reaches out to Broaden Minority Coverage"
"It's a two-year deal, $1.04 million to be exact, and renewable, with no strings attached beyond the foundation's larger goal of using journalism to address inequality and injustice." By the Editors, Columbia Journalism Review, Jul/Aug 2012. "Native Americans and a Changing Climate"
"They're among North America’s most vulnerable population groups, and their 95 million acres of tribal lands present Native Americans with a complex array of challenges and opportunities as they confront a warming climate." 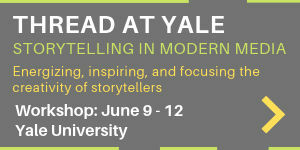 By Julie Halpert, The Yale Forum on Climate Change & The Media, Jun 21, 2012. In light of the growing list of journalists in Mexico who have disappeared or been killed, the Mexican Environmental Journalists Network (REMPA) would like to thank its sister professional association, the Society of Environmental Journalists, for publishing our consensus on demands for protection of freedom of the press. We are grateful for your solidarity. // Ante el aumento de asesinatos y desaparicion de periodistas en México, la Red Mexicana de Periodistas Ambientales agradece a la hermanada asociación profesional, Sociedad de Periodistas Ambientales, su publicación de las exigencias que hemos consensado para lograr las garantia de la libertad de expresión. Gracias por su solidaridad. Jun 2012. En Español. "Pollution, Poverty, People of Color," a series of stories examining environmental justice issues by Environmental Health News, Jun 2012. "An Eye on Environmental Justice: EHN Series Focuses on an Under-covered Angle on Toxics," The Observatory, Columbia Journalism Review, Jun 7, 2012, by Curtis Brainard.